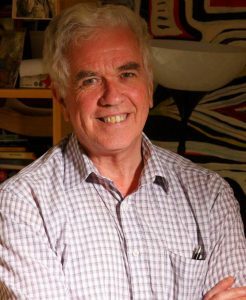 Jesuit homeless campaigner Fr Peter McVerry has called for more compulsory purchase orders on vacant properties and a suspension of evictions for three years, and has said he supports the current ‘Take back the city’ protests, once they are not violent and do not damage property. “We have an emergency, a crisis. In an emergency you take emergency action,” said Fr McVerry, speaking on RTÉ’s Today with Sean O’Rourke. 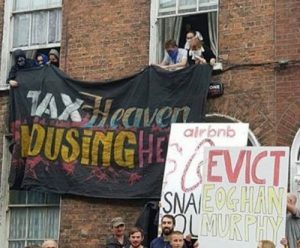 Last Wednesday, protesters demonstrated over the eviction of people from a building subject to a repossession order, blocking the streets between Dublin’s Parnell Street and O’Connell Street. “I would much prefer the government to be occupying these buildings rather than the public. The government should be in there compulsorily purchasing empty buildings.” The occupation was arising out of total frustration, said the Jesuit. Minister of State for Housing, Damien English, speaking on the same programme, condemned the behaviour of protesters occupying vacant properties, describing it as “disgraceful”. He said their action was “criminal activity” and Fr McVerry should not encourage such behaviour. The campaigner for the homeless said that sometimes owners left their properties unoccupied as house prices rose so they would make more money. “That in my mind is corruption,” he added. “The important thing is to bring these properties back into use one way or another,” he said. If owners were not prepared to do that, they should lose the property. “You use it or you lose it,” said Fr McVerry.